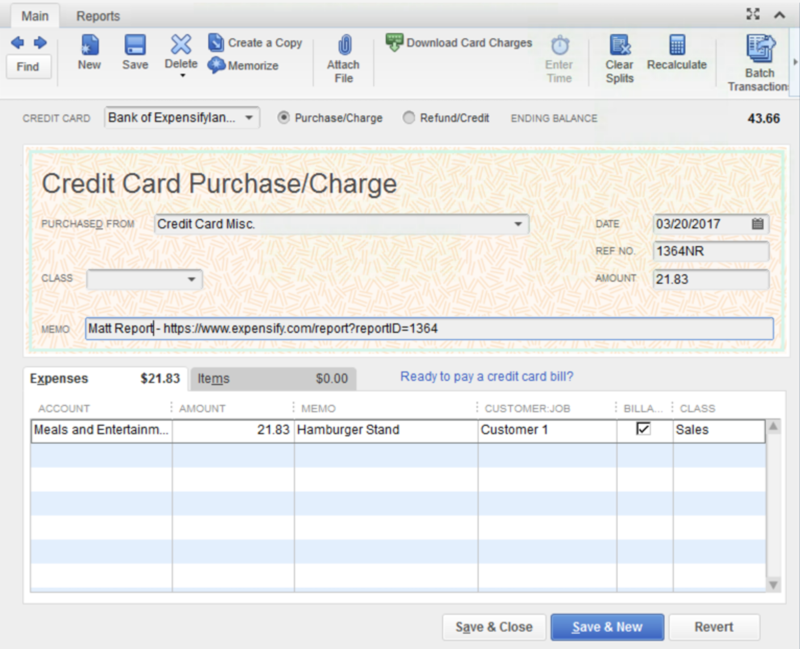 Check out all the different ways to get your reports from Expensify to QuickBooks Desktop. Choose either the report's submitted date, the report's exported date, or the date of the last expense on the report when exporting reports to QuickBooks Desktop. Vendor Bill (recommended): A single itemized vendor bill for each Expensify report. An A/P account is required to export to a vendor bill. Check: A single itemized check for each Expensify report. Journal Entry: A single itemized journal entry for each Expensify report. Credit Card: Each expense will export as a single credit card transaction with the posting date that appears on your card statement. 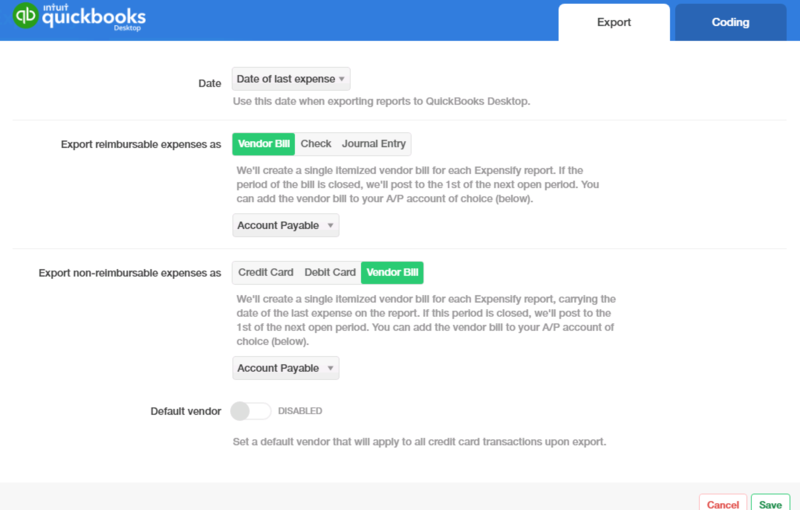 Expensify pro-tip: If you want the payee field for Credit Card expenses in QuickBooks Desktop to show the merchant name, a matching Vendor must exist in QuickBooks. Expensify looks for an exact match when exporting and if it can’t find a match, the payee gets mapped to a "Credit Card Misc." Vendor that we create. 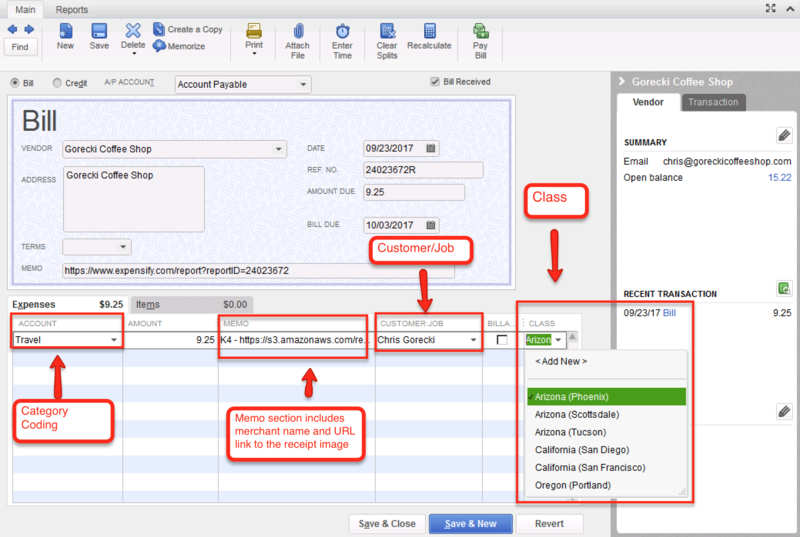 If you are centrally managing your company cards through Domain Control, you can also export expenses from each individual card to a specific account in QuickBooks (detailed instructions here). Debit Card: Expenses will export as a single-itemized check for each Expensify report. 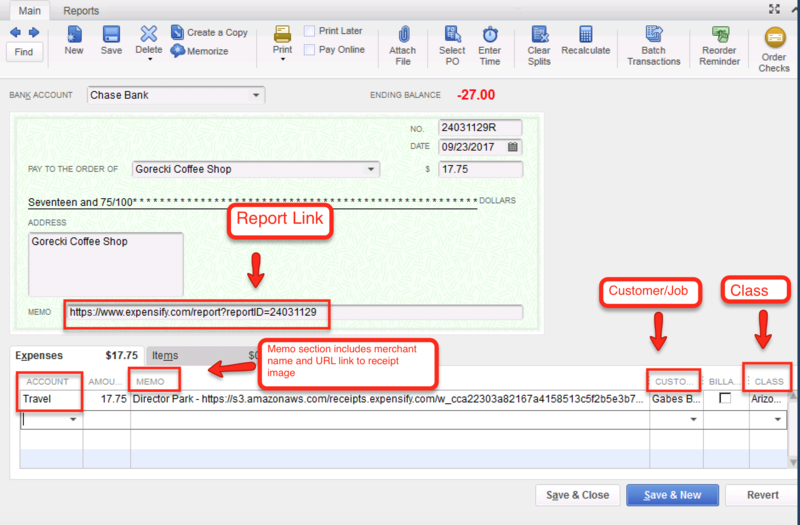 Vendor Bill: A single itemized vendor bill for each Expensify report. 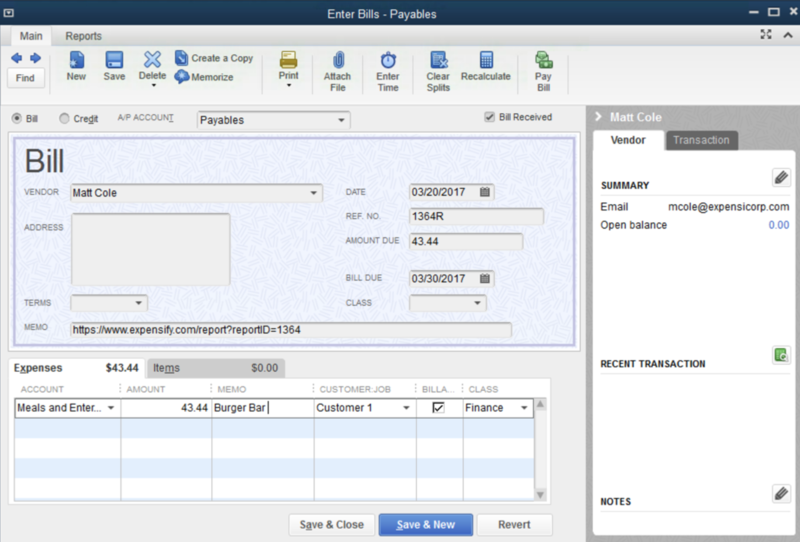 Expenses can be marked as billable in Expensify which will export to QuickBooks Desktop with the billable flag. 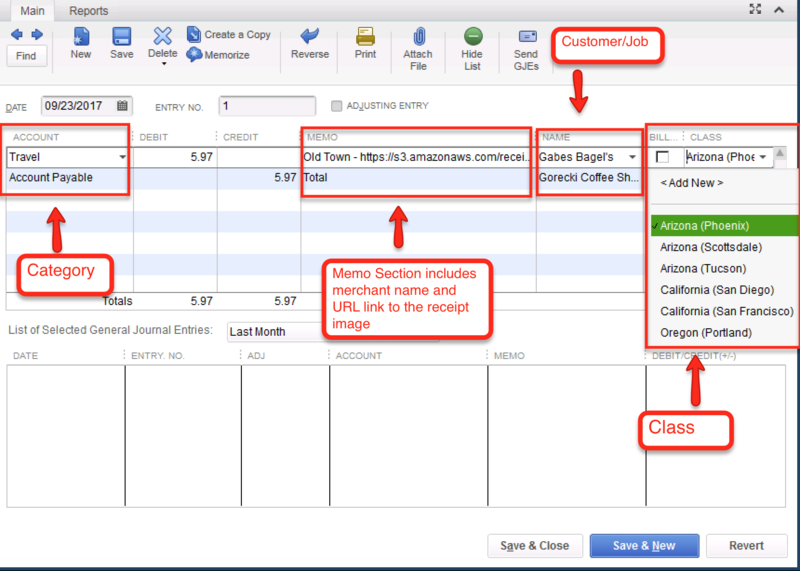 To fully take advantage of this functionality, any expense marked as billable must have a Customer/Job associated with it.